Tree Removal Austin is a full service tree care company that handles any scenario. We offer competitive estimates and prompt service to take a look at what you need. As all trees are different, your needs will require a quick explanation of your issue and if needed we will send a service technician over to get a fast estimate. What Should You Look For In A Good Tree Service Company? We’re knowledgeable – Without knowing proper maintenance techniques, improper tree pruning can actually hurt your trees. Our service agents know every detailed aspect about making your tree look beautiful, and keep it healthy at the same time. We keep things SAFE! – Safety is absolutely essential for not only our workers, but for you and your property as well. Our tree care professionals use the highest levels of safety precautions and proper equipment. We respect the environment. We use all available green methods to pass the care onto the environment. We are priced at competitive costs. Our rates are priced at industry standards. Step 1: Assessment – First a professional arborist will visit the property as soon as you schedule an inspection to get a clear picture of the situation. The expert will then determine whether the tree is deceased, pest-infested or dead and assess the level of damage to decide whether saving or removing the tree is the best option. We are an eco-friendly company, and we always strive to save your trees and guarantee both you and your property’s safety where possible. Step 2: Tree removal – We utilize the industry’s best equipment such as bucket trucks to remove trees even those in hard-to-reach areas. Our tree climbers also make use of special techniques to be able to safely and efficiently remove trees hanging over pools or buildings. In other words, we can take care of all your tree removal needs as compared to other companies in the industry. If you are not 100% sure of your tree removal skills or don’t have the right equipment for the job, do not attempt tree removal. Done without training, mistakes are likely to happen that might lead to serious injuries and sometimes even death. It is therefore imperative that you hire professional tree removal services. Removing a tree on your own could be illegal?! – Some trees are protected by legislation. Always consult with a Certified Arborist first! Many trees have times of the year that you should NOT prune them. During droughts, trees and plants do not get enough nutrients and can become more susceptible to illness, as well as pest problems. We make sure you are watering your trees correctly by watering the most important parts. A single mature tree in one year can provide enough oxygen back into the atmosphere to support 2 people! Let’s take care of our trees! Tree removal is a specialized job that requires professional training and equipment to do the job properly. 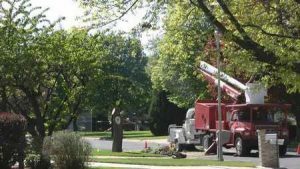 Tree service jobs rank among the most dangerous in the United States and if it is done the wrong way it may cause severe damage, injury and even death. For this reason it is best to leave this type job to a professional tree removal company. At Tree Removal Austin we always follow strict safety guidelines to ensure that our crew members are equipped with the proper tools for their safety and to protect the property of our customers from damage. Each and every crew member at Tree Removal Austin has at least ten years of industry experience and can be trusted to take care of all your tree service needs. Using the services of a company with less experience may cost you more money in the end as their lack of experience and proper equipment may result in damage to your property and they may not get the job done properly. 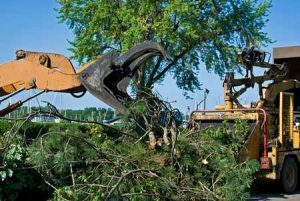 Using a licensed and experienced tree removal company will avoid legal trouble if accidents occur at the hands of inexperienced and unlicensed workers. Certain trees in the United States are protected by legislation and unknowingly removing these trees is illegal. Our expert tree technicians are able to identify which tree species are protected and offer you alternative solutions to your tree problems. Before taking any action to remove trees, you should consult with a certified arborist. 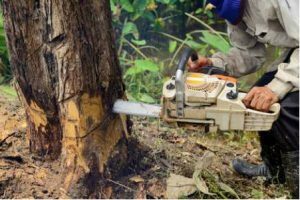 At Tree Removal Austin we have more than 25 years of experience and believe that tree service is a specialized profession that takes in excess of ten years’ experience to develop proficiency in the art of caring for trees. If you require professional tree services, take advantage of the many years of experience that our trusted crew members can offer you. Call us today for a free no-obligation estimate. Our services include pruning, trimming, tree removal, brush removal, stump grinding, and land clearing. At Tree Removal Austin we have a tree care solution to fit your needs, no matter how small or large.